Video games have given the world joy, joysticks and Super Mario. They've been accused of worse. Let us hope they have not inspired TV series, like Lost, to end simplistically (thus, badly! ), the way so many video games do. 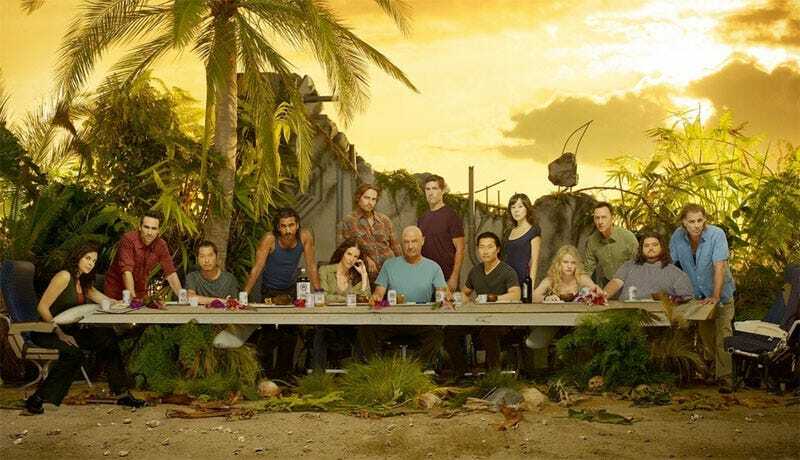 In the interest of not spoiling ABC's Lost for those who are not caught up — and of not getting too specific for those who don't care — just recognize, please, that the hit show Lost ends its six-season run later this month. How it may end is a subject of popular debate, at least for the millions who watch the show weekly. Lost has been about survival: What do people who've crashed on a seemingly deserted tropical island go on living? Lost has been about mystery — maybe there are other people and mad science experiments and even noisy monsters on this island too? But in Season 6, Lost may also be about one of the worst storytelling sinkholes: the march toward a boss battle. Just as there is in Super Mario Bros, in every Zelda game, in both Bioshocks, in the Final Fantasy adventures and so many more video games, there appears to be an ultimate bad guy in Lost. And, with just a few episodes remaining until the late-May finale, it's looking like the series may end with our hero or heroes fighting one big, tough bad guy. Video games didn't invent the idea of an ultimate enemy or a nemesis. King Arthur battled Morgan le Fay; Robin Hood, the Sheriff of Nottingham. The Bible had the devil. The 20th century had Hitler. Still, video games have been relying on the boss battle as the primary way to signal that their adventure is complete with scant exception. They present a final nemesis, the grim reaper of the little life they've allowed players to experience for 20, 30 or 40 hours. And they provide the chance to kick him into oblivion. An ultimate evil conquered, roll credits. The fault of video games has not been their inclusion of ultimate bad guys, but their reliance on them. They are the default device to ending a video game adventure. To end a game without encountering one is still a modern surprise. The acclaimed Bioshock, an adventure through the madness of a failed undersea utopia may sport a slower pace and appeal to the thinking man, but it ends with a fight against a chemically-empowered giant. Shadow of the Colossus is an emotional journey of a boy sent to hunt grand beasts. Climaxes with a boss battle. Star Fox is the video game equivalent of Top Gun. Each entry culminates with a boss battle. Grand Theft Autos don't end with boss battles, nor do Halos. But Metal Gears do. Resident Evils do. Prince of Persias. God of Wars. Gears of Wars. One recent game, full of suave and sophisticated action, climaxed with a boss battle: beat up the pope. When you need to end dozens of hours of adventure, video games teach us, you do it with a boss battle. Movies can get away with this. Compared to six-season-long TV series and 40-hour video games, they are short. Next to those baroque forms of entertainment, feature films are mere sonnets or songs, needing a final clever rhyme or a cymbal crash to end their brief run. Big-time video games and big-time TV series are a little closer to the length of life, and life ends, for most, with no boss battles. Neither do novels, whose creators know how to drift their story to completion if need be or at least just not bottleneck their portrayed evil into the shape of an ultimate man who must be shot three times and tossed to the moon. For about four seasons, Lost did not appear to be destined for a video game ending. It had a shot of ending more like The Sopranos, with an abrupt exit, or mournfully without a heroically everyone-wins Star Wars end, a la The Wire. ABC's show seemed more likely to do those things than to identify its most evil element as a foe to be conquered, a most powerful enemy that would require, in video-game boss style, a specific plan and pattern executed by our heroes to overcome. Should Lost end in such a way, with a boss battle, we can surely blame other influences than video games. But I won't be able to shake my fear that games did this. If Lost ends in the manner that so many games do, I will lament the nefarious influence of the medium that named the show's submarine (Galaga) and helped justify the inanity of pressing buttons mindlessly to possibly save the world (see all of Season 2). I wish video games didn't end like video games as much as they do. I hope TV shows, Lost or otherwise, don't end like them either.